The M18 FORCE LOGIC 3 inch Underground Cable Cutter is the Most Controlled Way to Cut. With a NEW-TO-WORLD DESIGN, it is engineered to deliver the best cutting experience in a trench. Linemen can now scoop the cable into the open jaw with ease, maintaining balance when lining up to cut. Once aligned, The M18 FORCE LOGIC 3 inch Underground Cable Cutter is the fastest cutter in its class, making installation and wrecking of up to 1500MCM Copper 15kV cable a breeze. The M18 FORCE LOGIC 3 inch Underground Cable Cutter features a fully enclosed high-speed hydraulic pump, Brushless Motor, REDLINK Electronics and REDLITHIUM Battery delivering Ultimate Reliability in the toughest conditions. Featuring Milwaukee ONE KEY Technology, view tool usage, receive notifications for recommended maintenance and sync information wirelessly to the cloud. M18 18-Volt Lithium-Ion Cordless FORCE LOGIC 3-Inch Underground Cable Cutter W/ (1) 5.0Ah Battery The M18 FORCE LOGIC 3 inch Underground Cable Cutter is the Most Controlled Way to Cut. With a NEW-TO-WORLD DESIGN, it is engineered to deliver the best cutting experience in a trench. Linemen can now scoop the cable into the open jaw with ease, maintaining balance when lining up to cut. Once aligned, The M18 FORCE LOGIC 3 inch Underground Cable Cutter is the fastest cutter in its class, making installation and wrecking of up to 1500MCM Copper 15kV cable a breeze. The M18 FORCE LOGIC 3 inch Underground Cable Cutter features a fully enclosed high-speed hydraulic pump, Brushless Motor, REDLINK Electronics and REDLITHIUM Battery delivering Ultimate Reliability in the toughest conditions. 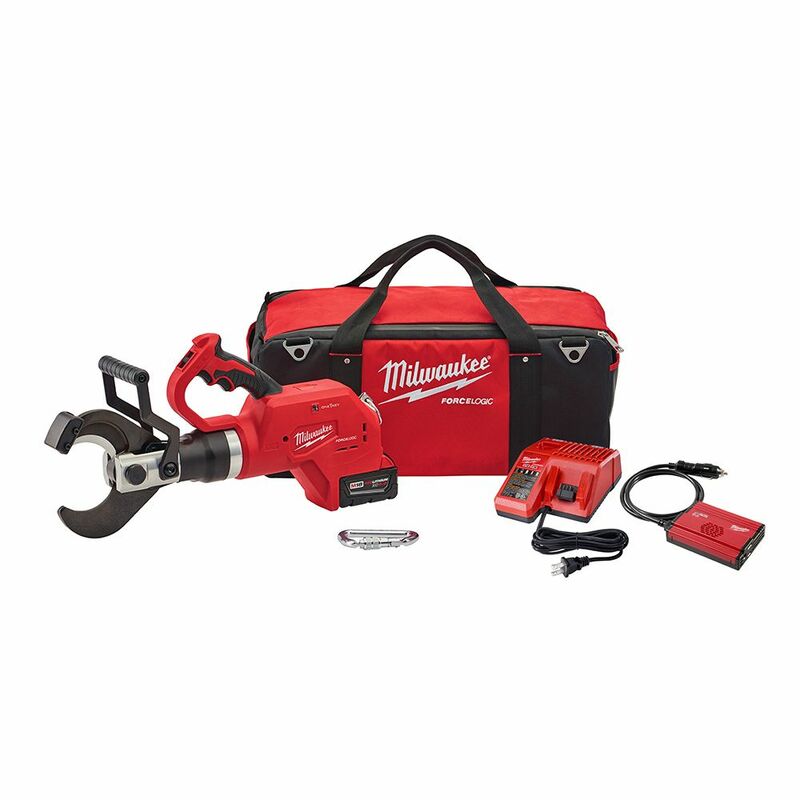 Featuring Milwaukee ONE KEY Technology, view tool usage, receive notifications for recommended maintenance and sync information wirelessly to the cloud.